Learn about importing user and training data from other systems into Axis LMS. 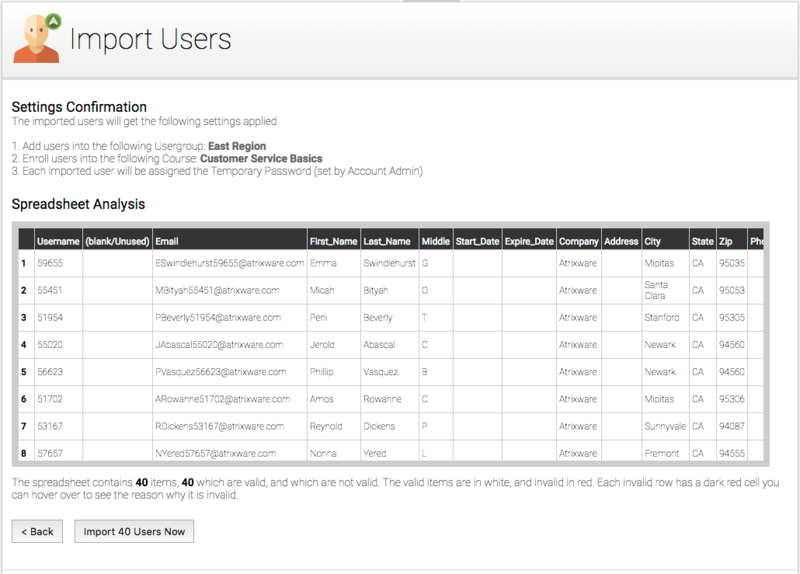 By using the User Import, you’re able to bring in user account data into Axis LMS. Whether it be a call list, employee records, or users from a previous system; the User Import provides each user with standard fields, such as phone and email address, as well as 15 customizable fields that can flex to work with your data. If you’re moving or migrating from another LMS or training management system, you don’t need to leave your score data behind. Axis LMS provides a method to store old score data so that any scores you recovered from your old LMS is still archived inside Axis LMS. Along the same line as scores, by using the Question and Slide Import, you can bring in questions, PowerPoints, videos, and SCORMs to quickly get your Axis LMS ready. Every user has a history outside the LMS, and while every company may not be interested in storing that data; Axis provides tools to help consolidate this data through something we refer to as “Archived Reports”. Archived Reports serve several purposes, but are most frequently used for documenting course resets, storing offline class scores, and importing scores from previous LMSs. These reports are usually created one of two ways – uploading a spreadsheet, or resetting a course (either manually or automatically). A spreadsheet would be uploaded when you’re bringing in external data (completed in another training management system or other HR system, or completed in a classroom), and can be imported by selecting “Archived Reports” from the Reports page, then clicking on the Import Reports tab. When a Course is reset, either manually or systematically, the reset user’s Score, Progress, and Time are documented, and the course is set back to 0. 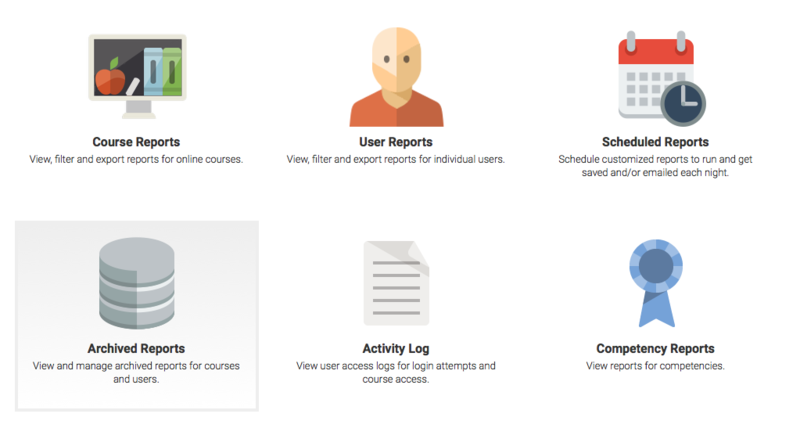 To reset a course for a user, select a Course from the Manage Courses page, then bring up a Roster of that course’s users. Now select the reset button for any user you want to reset. To view a user’s report history, select the user from the Manage Users screen, then select the “Archived Reports” icon from their reporting block. From this page, you can also export or print all of their Archived Reports. It is important to note that Archived Report data is read-only; it cannot be edited after it is created inside Axis. This entry was posted on Wednesday, September 14th, 2016 at 10:49 am	and is filed under ELearning 101. Responses are currently closed, but you can trackback from your own site.